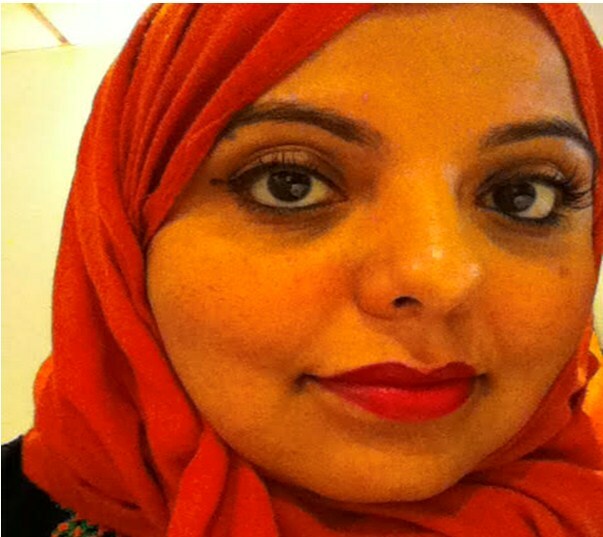 Shaista Aziz is a freelance journalist specialising on Pakistan, women’s rights, gender, race and identity. She is a former BBC News and Aljazeera journalist, an experienced aid worker, stand-up comedian and writer. Shaista won the respected King Gong Open Mike competition at the Comedy Store in Manchester that kick started her comedy career and she has performed stand up for the BBC, Edinburgh Festival and at international comedy festivals. She is a women’s rights and anti -racism campaigner. Together with journalist Aisha Marwari she is the co-founder of the Women’s Advocacy Hub (WAH) working to advance women’s rights in Pakistan in collaboration with grassroots women’s groups. Tell us a little more about your background, and how you started your career? How important is it to have role models, especially for young women growing up in the UK? What advice would you give to girls who are starting to explore the opportunities around them? I am obviously British Pakistani and I was born in Oxford. From a very young age, I knew that I wanted to become a journalist (from the age of 4). I used to spend all my summer holidays in Pakistan. We would go back and it was obviously boiling hot, but it was the only time we could get off school and it was the way my parents made sure we were connected to our roots. Growing up I went to a Church of England school, we would go to church once a week and after school we would go to the Mosque. We were encouraged to know who we are, our roots and embrace all aspects of who we are. This was a privilege in my childhood as it helped shape who I am and what I became. I think a lot of British Pakistanis struggle with this. I remember very vividly going to Pakistan as a kid then as a teenager and my mind so overwhelmed by all the sights and smells of Pakistan that it became a part of my DNA. I spent a lot of time there and I feel very lucky that my parents gave me this gift. Pakistan is a very significant part of my identity. At university, I studied English Literature and Women’s Studies. I started doing lots of work placements for major organisations and worked my way into regional organisations. I did some work with the Daily Mirror and because I was in London I wanted to make the most of the opportunities here. I did not have enough money to study for a Master’s degree straight away so instead I decided to work in the Media industry. I made contacts that were helpful and therefore I feel very strongly that it is important for young people to have Mentors, who can help steer them in the right direction and offer advice. Since mentoring opportunities are being cut at schools and universities. Now, more than ever, we have a generation of highly skilled young people, yet job prospects are dwindling, costs are high and there are massive issues around racism that are becoming more prominent. This is a difficult time for younger people to navigate through these issues. Therefore, Role Models and Mentors are needed more than ever. I tried hard to look for Role Models and Mentors within my community but could not find them and instead found them elsewhere (a mixture of people from different backgrounds). These Mentors were instrumental in helping me shape my thinking and broaden my horizons. If you want to do something you have got to work for it and that was part of my journey to journalism. I worked at BBC for 7 years. I went through the ethnic route – I interned at Marie Claire magazine and other leading publications. There was next to no diversity in those places. Someone like me did not belong there but I kicked down doors to get there. I struggled financially but the contacts I made opened doors. I worked at Eastern Eye newspaper and British Asian newspaper. I moved on to become Feature Editor and indulged my creative side by writing about British Asian films, fashion and music. Even now if you are British and Pakistani you more often than not must go down this route, or a specialist media organisation that writes for the Asian market and there is nothing wrong with that. You get more exposure and experience, sometimes more responsibility, that works to your advantage. Use everything that makes you different to your advantage: your language, your background, your community and use it in your creativity and your work as people need specialists. I was earning very little money and decided I wanted to get into broadcasting. I moved back home and went to work for BBC Radio Oxford. Often in our community we don’t always encourage creativity because those positions aren’t always well paid so we often steer our youngsters into solid pay paths where you know when your next pay check is coming in but this field is not about that. I pursued a permanent role in this field anyway, and was offered a trainee ship at the BBC. I spent a year training and working all the shifts in the newsroom and I did all the graveyard shifts. I was sent to Dorset where I was the only desi in Dorset – apart from the guy that ran the family desi restaurant. People used to ask if my parents owned that restaurant, which was sweet, because there wasn’t much diversity. Now looking back, people call me brave which I don’t see myself but I look back and see what I have done and realise if I did not firmly believe in myself I wouldn’t have had those experiences. Sometimes in life you must lift yourself out of your comfort zone and see how far you can go. I was quite vocal about the lack of representation in the British Pakistani community which was appreciated by my colleagues. I am aware that a lot of young British Pakistanis don’t have any recollection what life was like before 9/11 and so this is the only reference point they have today of what it is like to be Muslim and British Pakistani, which is damaging and negative. When I tell people I am from Pakistan they are shocked. In fact, a lot of British Pakistanis don’t understand what being Pakistani is. Maybe you’ll see a cousin, or marry a Pakistani – they don’t see it beyond that and so that they don’t have a full understanding. I am aware how younger people are facing pressures that they have never encountered before. I am proud of the fact that I’ve managed to do this kind of work – it’s a privilege. My friends have told me that they have learnt about Pakistan through me – which I am proud of. A friend recently said I want you to know that I am grateful that you have taught me about Pakistan being a land of rivers, lakes etc. as I thought it was just full of dusty streets with too many people and chaos. It touched me and I thought that it was amazing. I have travelled and worked in Kashmir, Balochistan, FATA, Sindh and I have travelled all over the world. There is something very special about Pakistan. What I feel most proud about is posting a series: “Things you don’t see in homeland” – this is part of my DNA. I did not think anything of it but started posting fruit vendors, mango pictures of Margalla hills, Sufis in Karachi – that took off and I got nice feedback about how beautiful Pakistan is. Global post got in touch and they wanted to run my page as a feature. I am a story teller and this is just about telling stories. I am not trying to get people to like Pakistan or counter any narrative, I am just telling people what is in front of my eyes which is a very powerful thing to do. In an interview with OZY.com, you said “Pakistan, despite everything else, is a gem of a place for comedic observations,” What is some of the more amusing stuff you’ve come across? I think Pakistanis are hilarious intentionally and unintentionally. We have these very strong characteristics and because I have spent so much time there – and I am a Punjabi – we know there are tensions between different groups in Pakistan, but people have always welcomed me in a protective and caring way. Since I am in a unique and privileged position – I am proud of being British and Pakistani – they often say they are proud of the fact that I am proud of being Pakistani. I was in a taxi in Islamabad talking to my mate in Urdu she switched to English so I switched to English. The Taxi driver kept looking at me and said “Madam!”, I thought what’s going on here, so I got off the phone and asked him what’s up and he replied: “Your English! It’s perfect!” He got quite emotional about how good my English was and suddenly yelled: “You sound like Harry Potter! I said, “You think I sound like a pre-pubescent wizard boy – thanks a lot!” It was hilarious but also so sweet that for this taxi driver, it was such an achievement that he had a woman in hijab in the back seat speaking perfect English. What keeps you motivated in face of challenges and obstacles? What has been some of the most difficult things you have had to encounter, where you were challenged in unexpected ways? 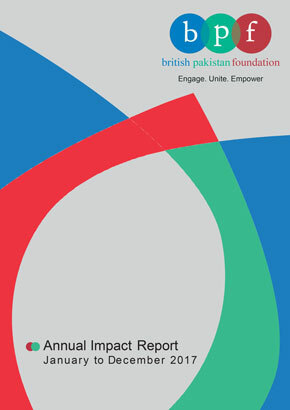 The British Pakistan Foundation has undergone significant change in vision and rebranding last year; what do you feel is the most important part of the work we are trying to do? I think the most important aspect of BPF is to support people within the British Pakistani community and open horizons. Working with young people is commendable, providing them with mentoring, work opportunities, providing them opportunities to learn about different fields of work, is vital and key to everything. It is about bringing aspiration and confidence to the young members of the British Pakistani community and make them understand that they don’t have to put themselves in a box, even if people are trying to put you in a box. You still need to explore your options in the world around and BPF can provide them guidance in this respect. Still in our community there is a generational gap and this is the same for all young people – they often don’t feel like they can have a conversation with their parents because there are differences in background and upbringing. Often parents don’t feel equipped either. This is the most highly educated generation and the support that BPF provides, builds relationships and encourages interaction – this may seem normal but it requires work. Building relationships is so important. I have talked a lot about mentoring and the importance of it. I am currently being mentored for a year by the Fabian Women’s Network, a group actively working to ensure British politics is more representative in its is make up, encouraging women to enter public life. I can not recommend this mentoring enough, it is incredible to be on this journey with a very talented and diverse group of women.